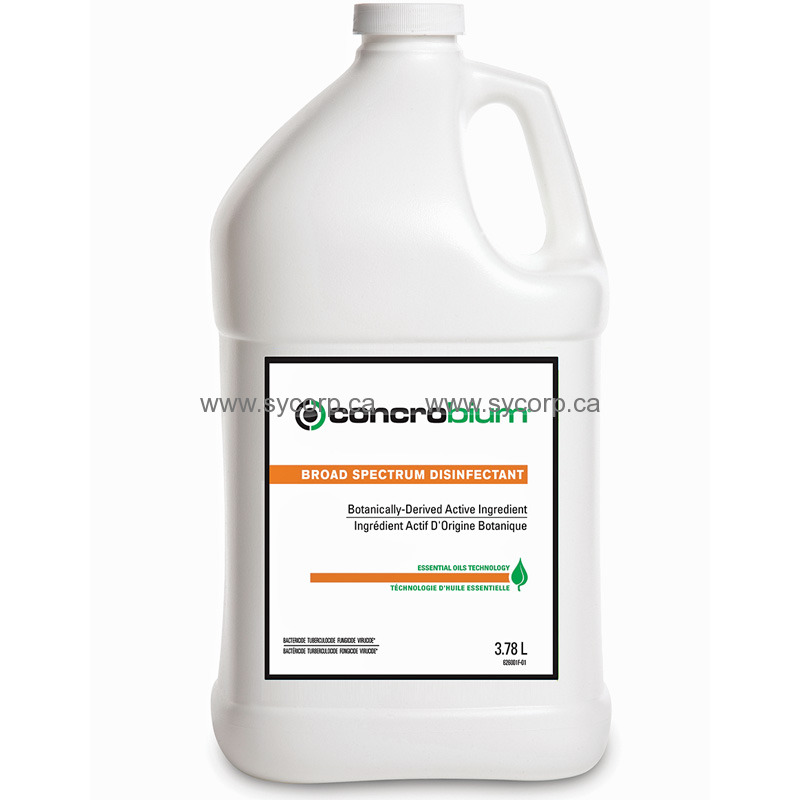 Concrobium Broad Spectrum Disinfectant represents the next generation of plant-based disinfection for professional restoration contractors. The unique, proprietary solution is botanically-derived and offers significant advantages over existing botanical solutions on the market. Unlike other products, Concrobium Broad Spectrum Disinfectant provides superior cleaning so users don't have to resort to two separate products for disinfection and cleaning. And contractors and their customers won't have to contend with the irritating, lingering fumes that are associated with first-generation botanical formulas. With Concrobium Broad Spectrum Disinfectant, pros can count on an DIN-registered bactericide, virucide, tubercolocide and fungicide that contains no harmful chemicals. The solution has no warning labels, requires no PPE and can be fogged with a ULV fogger. TO DISINFECT: Thoroughly wet the surface with the product. Leave on the surface for 3 minutes. If desired, wipe dry; no rinse is required. Remove heavy soil prior to disinfection. Test on an inconspicuous section first.